Greenloaning Burns Club are asked to judge local schools burns competitions each year. These competitions are typical throughout Scottish schools and indeed Scottish communities throughout the world. The quality of work and effort put into the renditions of the Bards work makes it a very difficult task, but very rewarding for the judges. It is an ideal way of preserving our heritage and ensuring that Burn’s memory remains Immortal. This part of the website is dedicated to all the teachers who enable these competitions to take place and to the pupils who take part in them. This extract gives details of the Bards travels between 17th September and the 20th October 1787 around the Greenloaning area. This electronic version of Burns Chronicles is from 1901 and the entry for Greenloaning Burns Club can be found on page 155. This publication is an interesting source of reference for any researcher or advocate of the Bard. It can be downloaded or copied for purposes other than commercial. 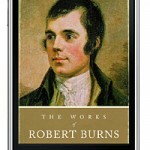 The complete works of Robert Burns, Scotland’s National Bard, have been made available free of charge on the iPhone. 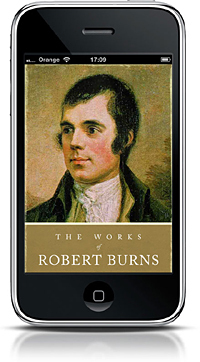 An iPhone app allowing enthusiasts around the world to download and instantly access Burns’ poetry has been developed by the Scottish Government. 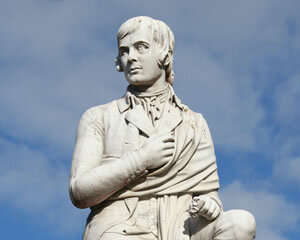 The app includes a searchable database of every poem written by Burns, a summary of facts about the poet’s life and a guide to hosting a Burns Supper. The launch of the app coincided with of the opening of the Robert Burns Birthplace Museum in 2010. 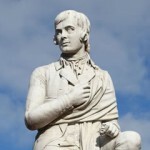 If you have ever wondered about visiting the Robert Burns Birthplace Museum, then this article written by Marian Pallister leaves you in no doubt as to why this is a must have experience, rather than just a visit. 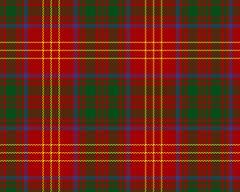 How was the relationship with Robert Burns and Tartan in the 18th Century? 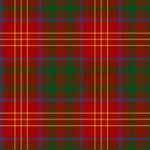 What has happened to the Burns Tartan over the years? Find out here. Scotland’s First Lending Library is delighted to announce an astonishing gift of over 200 Scottish First Editions, coming home to Scotland. The Scottish Collection, incorporating the greats of Scottish writing such as Robert Burns, David Hume and John Knox, will have a new permanent home at The Library of Innerpeffray in Perthshire. 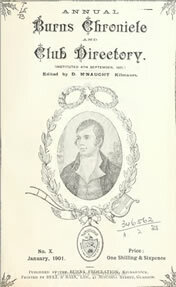 The Collection includes an exceptional assembly of the works of Robert Burns including a handwritten manuscript of the song Wilt Thou be my Dearie? This Library is on the doorstep of our club at Greenloaning. If you are in the area, why not pay them a visit, They will make you most welcome. Robert Burn’s face reconstructed from a model of his skull for an acurate likeness. This programme was aired on Scottish TV. There are many comments on You Tube regarding this reconstruction. One thing to keep in mind is that this was derived from a plaster cast of Burns skull when Jean Armour was buried (1834) and this was after a terrible illness that ultimately caused his early demise. Please click on the link below to view the 8 minute clip.